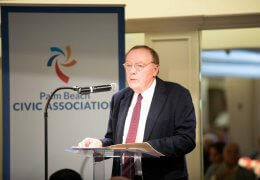 The Town of Palm Beach Civic Association has been in the news a lot lately! Click the links to see more. 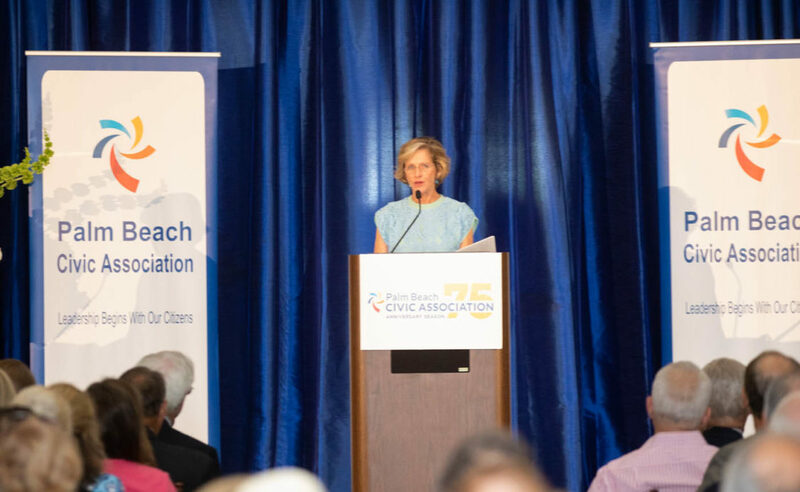 The Palm Beach Civic Association is celebrating its 75 years this season. While it’s important to recognize the milestone, the organization also should be lauded for its forward thinking. This group is not resting on its laurels. 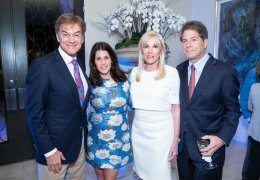 When the Palm Beach Civic Association’s major donors’ dinner happened to be at the same time as the Patriots-Chiefs playoff game — the NFL, apparently, did not check the Shiny Sheet’s Social Calendar before scheduling — hosts Howard and Michele Kessler and Civic Association boss Wright did what they could. 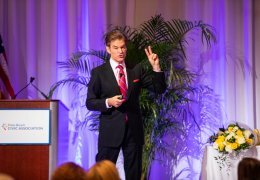 Dr. Mehmet Oz, celebrity health expert and part-time resident, shared with a Palm Beach audience Monday his ideas about living the good life. The good life, he said, is not about having plenty of cash or flashy cars to drive. It’s about living well, which includes taking care of your health. 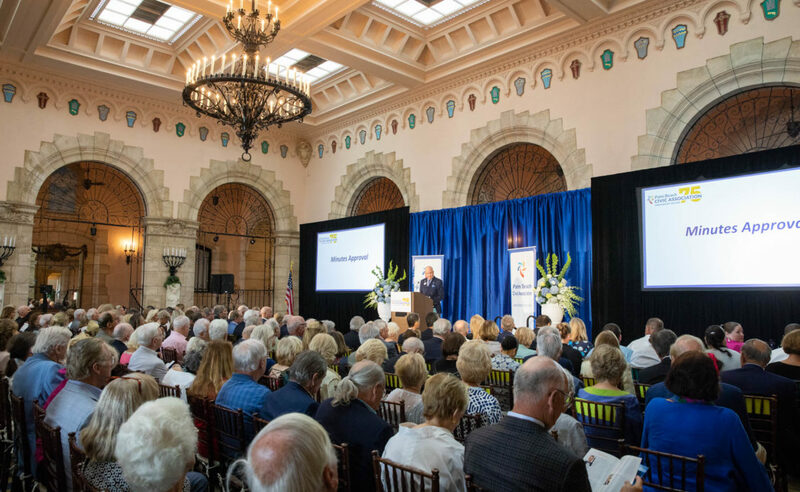 A physician, heart surgeon, best-selling author and television personality, Oz spoke at the Palm Beach Civic Association awards luncheon at The Breakers. 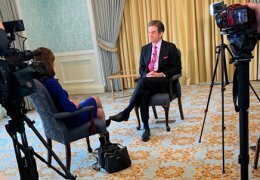 Dr. Mehmet Oz took the stage at the Palm Beach Civic Association’s annual award luncheon at the Breakers, with a lively message about how to really live life. 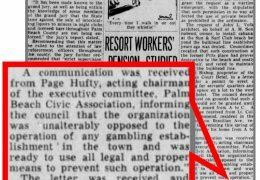 Palm Beach Post Article June 6, 1945 – Civic Association on Gambling Issue. One of the running jokes about Palm Beach — yep, there are a few, including the car being driven only by a pair of shriveled hands, and injuries sustained during “bluehead season”— is that its residents are so old that when they turn 75 they get kicked off the junior committee. 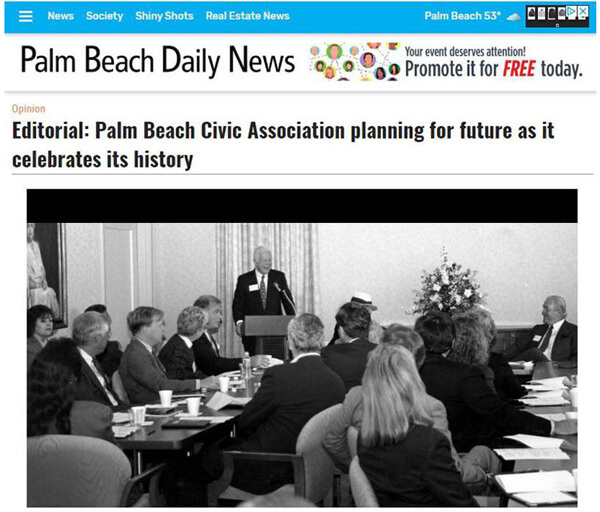 Well, this year the Palm Beach Civic Association stepped down from the junior committee. 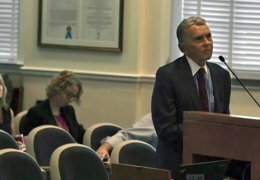 Business leaders, town staff and the public will join in a workshop Tuesday to discuss how to make business more vibrant and prosperous in Palm Beach. 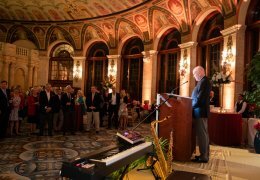 Bob Wright, Chairman at Civic Association Holiday Party at The Breakers. Earned media is the BEST! Love being part of the news in the Town of Palm Beach!